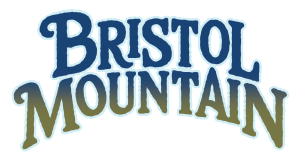 Learn about where people who grew up skiing at Bristol Mountain are in their careers including Bill Rock (SVP & COO Park City Mountain-Vail Resorts), Donny Roth (Chile Powder Adventures and Independent Descents), & Tim Jones (Grit Visual and “Return Of The Turn”). 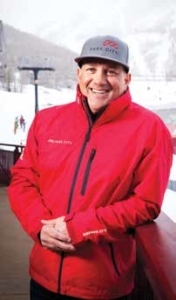 Bill Rock, SVP & COO Park City Mountain-Vail Resorts, credits his ski career beginnings to Bristol when he began skiing in fifth grade with the Naples Ski Club led by Sue Widmer. In 1996 he began his first job in the industry at Bristol Mountain, as the Director of Sales and Marketing, with credit to Dan Fuller for taking a chance on a military veteran looking to align his personal and professional passions. 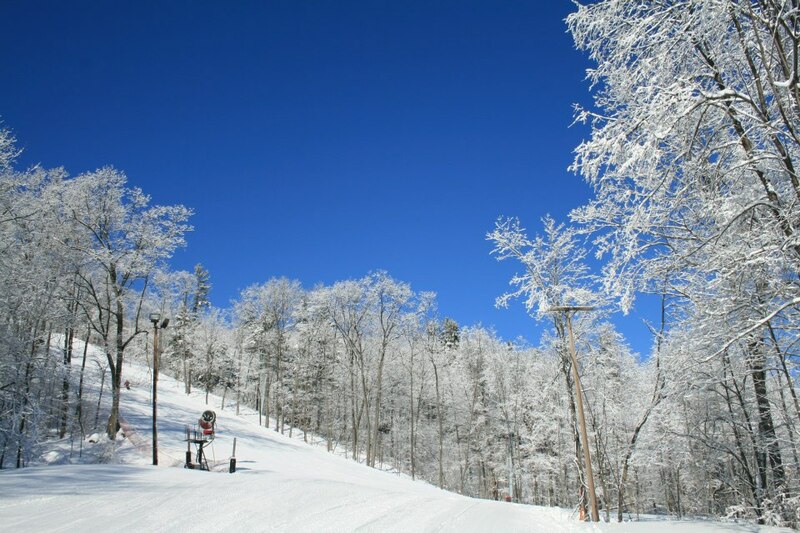 A graduate of Naples Central High School and Clemson University, Bill held various leadership roles in nearly all lines of business during the buildup of his career for resorts including Stratton Mountain and Purgatory, working his way to President and COO at Snowshoe Mountain where he served until 2010. Bill joined Vail Resorts the same year to run their new acquisition at Northstar California in Lake Tahoe, eventually leading all three portfolio resorts in Tahoe — Northstar, Heavenly, and Kirkwood. After the Vail Resorts purchase of Park City Mountain in 2014, Bill was promoted to lead the new acquisition and subsequent project — to combine Park City Mountain and Canyons. Bill and his team implemented a $50 million capital program that created the largest ski resort in the United States and established a new, one-team culture combining over 3,000 employees from former neighboring resorts. Bill lives in Park City with his wife Jennifer and twins, Tyler and Paige, where they continue to enjoy skiing and riding as a family. Roth grew up skiing Bristol Mountain and at an early age, became a regular on the slopes, often skiing from first chair to close. He focused his passion while in high school and raced competitively for the Penfield High School Alpine Ski Team. After high school, Roth became a ski instructor and race coach working at other resorts such as Eldora, Bridger Bowl, Aspen, and Portillo, Chile. 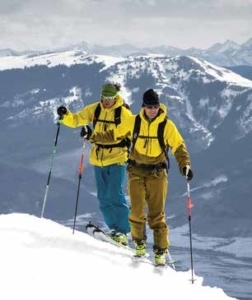 During this time he became an examiner for the Professional Ski Instructors of America (PSIA) and in 2006 started guiding back country trips becoming an American Mountain Guides Association (AMGA) Certified Ski Guide. After working for several guiding services, including Heli Ski operations, Roth is now the owner of two guide services, Chile Powder Adventures and Independent Descents. Chile Powder Adventures focuses on ski adventures in the southern hemisphere and is based in Central Chile while Independent Descents is a platform that Roth uses for guiding in the northern hemisphere (Colorado, Canada, Iceland, etc.). Roth currently splits his time between Chile and the rest of the world, often out of cell reception! Tim’s passion for skiing started at a young age while in Bristol’s Brigade program. He went on to race in USSA throughout high school with BMRC and the local high school race league. The pull of skiing drew him westward to attend college in Salt Lake City, where he still resides today, twelve years later. As the founder of Grit Visual, Tim’s ability to access rugged ski terrain while carrying heavy camera packs has made him a sought after cinematographer in the ski industry. Over the years he has worked with brands such as Blizzard, Tecnica, U.S. Ski and Snowboard, Scott, Clif Bar, Black Diamond, and the U.S. Olympic Committee — plus athletes and ski resorts to create marketing content and ski films. Keep an eye out this ski season for the second installment of his online ski series “Return Of The Turn”.